Qualcomm has demonstrated its vision of "the future of wireless charging in roadways". 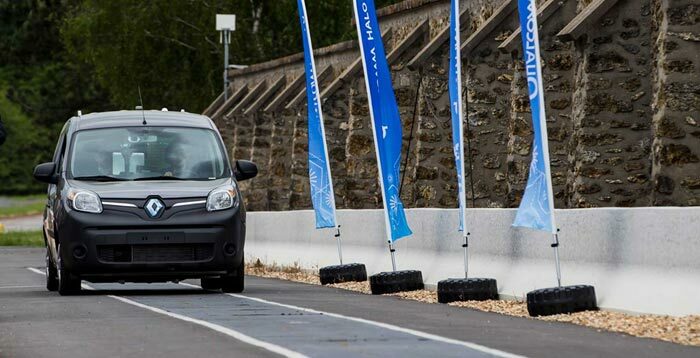 With the Qualcomm Halo wireless electric vehicle charging (WEVC) technology built into roads it says that it's possible to charge your electric vehicle on the go. Furthermore, sufficient lengths of such track could enable to keep going for a "limitless range". The new Halo implementation is dubbed dynamic electric vehicle charging (DEVC). Qualcomm says that a car travelling at highway speeds (100kmph+) can charge at up to 20 kilowatts. Furthermore, on the track demonstration two vehicles travelling in opposite directions simultaneously can charge using the DEVC system. Qualcomm's demonstration took place in France, just ahead of the weekend. 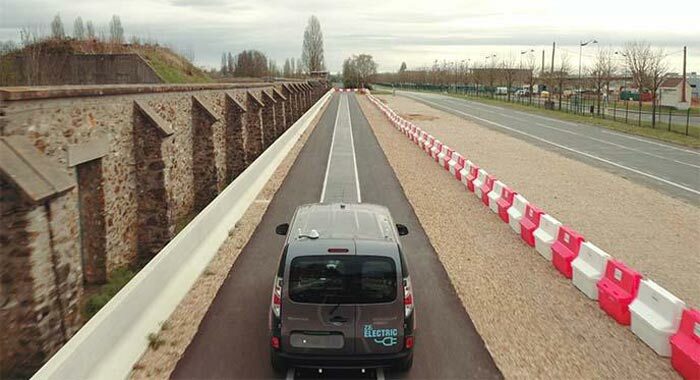 Built by VEDECOM at Satory Versailles, a 100m test track integrating Qualcomm Halo DEVC powered two Renault Kangoo Z.E. vehicles with charging receivers. The test was run under the auspices of FABRIC, a €9 million project, mostly funded by the European Commission, to test the technological feasibility, economic viability, and socio-environmental sustainability of wireless DEVC. If the tech is considered as worthwhile by FABRIC it is envisioned that it will help deliver a system that facilitates the summoning of cars via smartphone, which then take you to your destination autonomously (as in the video below). According to Qualcomm, its Halo technology in both WEVC and DEVC forms represents a "vision for future urban mobility." However, the cost of the infrastructure - miles and miles of DEVC track in our roads - looks to be a major barrier to its widespread adoption. The 100-meter track, is comprised of 4 x 25 meter stubs, each running from its own power supply. The same vehicle can charge up at a WEVC bay. 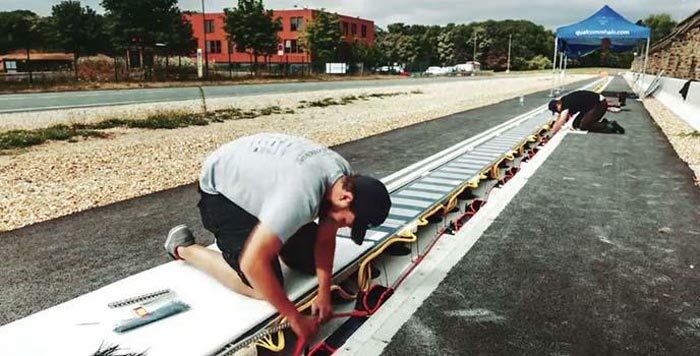 This is bull, seen innovation that charge a moving EV with magnetic slings in the road. U do not have to use any external power and it charges more the faster you go AND it is surly 100 times cheaper to implement and maintain in the long run. But this it not interesting to a company like Qualcomm, they think only with greed, they want something expensive they can install and cost loads to maintain so they can make gazillion bucks in the future. Isn't wireless energy transfer extremely inefficient? Think there's a reason that Tesla was considered a nutcase in his later years. Tesla planned long range high current wireless transfer, basically ionising the atmosphere. This is short range inductive charging which is a proven technology the same as used to charge your phone wireless! My phone is charged via USB like 99% of the phones on the market. Wireless phone charging is highly inefficient and a marketing fad. Unlike in transformers there is no barrier that focuses the magnetic field.